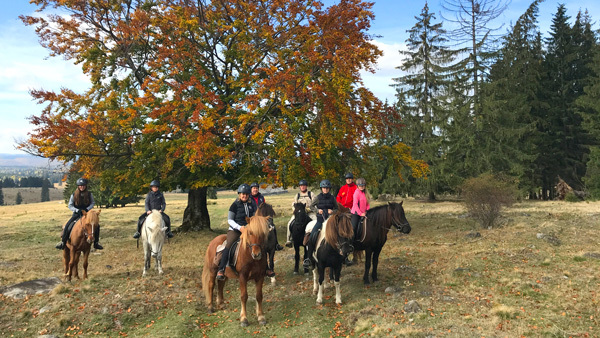 Horseback riding is an integral part of the traditional Carpathian scene and the naturally gentle Icelandic horse provides excellent riding opportunities. 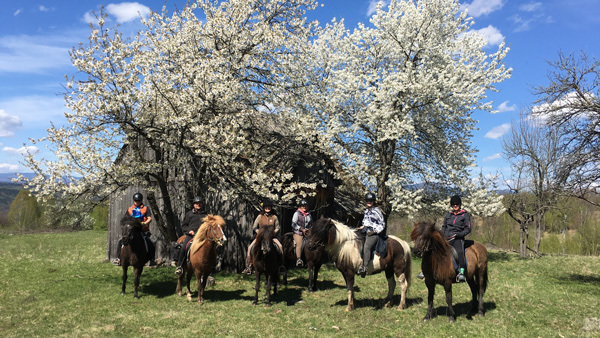 The rolling hills of the Harghita Mountains with its fresh streams, rich wildlife and dispersed mountain villages provide a great setting for getting to know the Icelandic breed or for those looking for a relaxing riding week in nature. The Icelandic Horses' gentle, friendly disposition and calm manner make them a delight for anyone to ride, while their unique gaits provide a remarkably smooth way to travel over rugged or snowy terrain, making long hours in the saddle more comfortable. 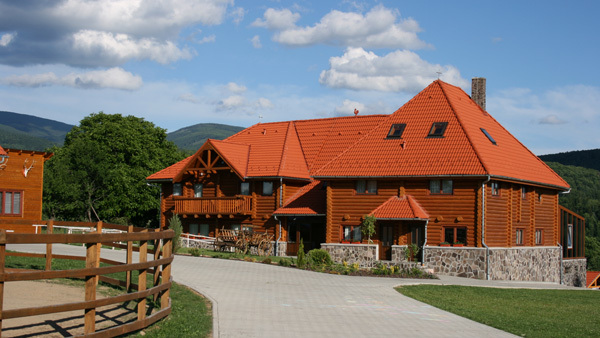 The tour’s base is located outside the small mountain village of Izvoare, amid the forested hills of the Harghita Mountains. 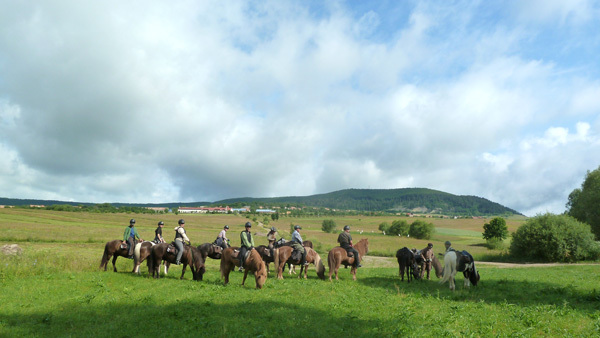 The daily riding program is varied, beginning with a tölt lesson for novice Icelandic Horse riders and continuing with 25-40 km daily rides on forest roads, up to great viewpoints, through pastures, dense pine and beech woods and along river valleys. The pace is dictated by the terrain with certain opportunities to tölt, but it is also tailored to the group’s riding skills. 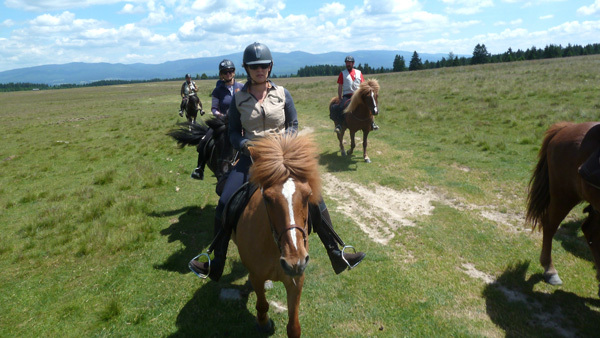 There are times when you will need to lead your horse due to the rough terrain. At the end of your day spent exploring the wild beauty of the region, you and your companions will love the convenience of returning to this boutique lodge based in the heart of nature. If you’ve been horse riding all day or just walking in the surrounding mountains, step into the soothing shower. With a drink from the hunting bar, warm up in front of the fireplace and admire the mountain view. 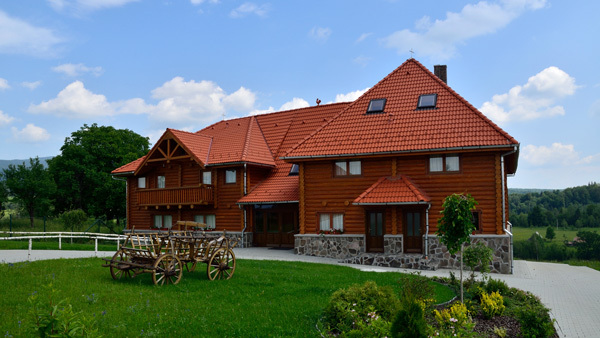 Your accommodation is a modern and stylish hunting lodge located next to a 320 ha wildlife park, surrounded by the forrested hills of the Harghita Mountains. All the rooms are equipped with private bathroom with towels, hairdryer, hydromassage shower, LCD TV and DVD player and with warm and cozy blankets under which you can warm up after an eventful day in the nature. 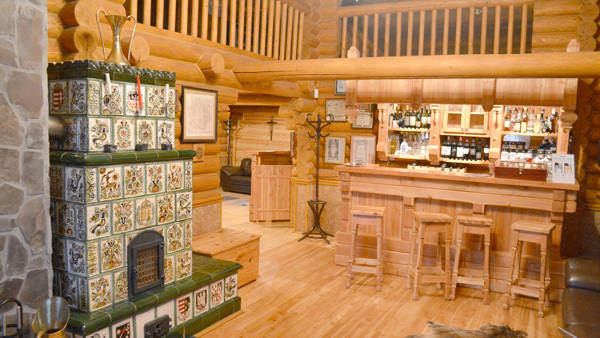 The lodge has large dining and living hall area with a bar and a fire place and a terrace with wood stoves. At your disposal in the common areas, you can find a large refrigerator with freezer, a multifunction microwave oven, the book corner, in case you forgot to take something to read with you, the tourist corner, with guides, maps and brochures always up to date and a DVD corner with videos about the rich cultural heritage of Transylvania. 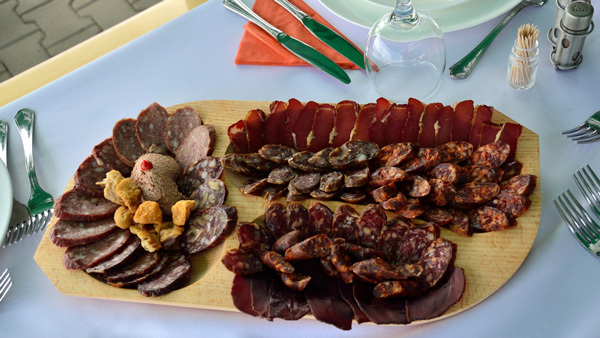 Besides the traditional Transylvanian cuisine, here you can experience locally produced game meat specialties. Vegetarian and gluten-free options may also be offered in case of prior notice. 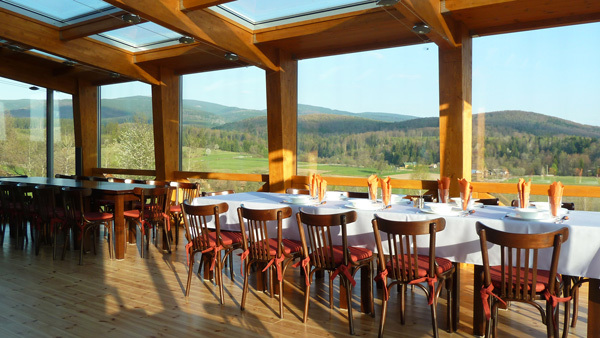 Each day you can enjoy a rich breakfast buffet spread consisting of cold and hot foods, salads, coffee and tea, a picnic in nature or a traditional home-cooked meal out on the trail for lunch and a three-course gourmet dinner in the lodge’s large dining hall. There are 31 Icelandic horses at the ranch, from which 18 are well trained and tempered trail horses with 135-140 cm heights and age between 10-12 years old. Harnessed with Icelandic saddles and bridles. The paces are at walk, moderate distances in trot (tölt) and short distances in canter. Riders are welcome to help groom and tack-up their horse. Personal belongings are carried in the saddle bag of your horse. This 5-day riding programme is available all year round and each season adds its own specifics and beauties to the tour experience. There is often snow on the ground at the end of March or beginning of April, with a few crocuses and snowdrops poking their heads through the bare patches, whilst in May everything is growing so fast you can almost see the grass growing and the leaves bursting forth. This is the time when the forests become alive and you can enjoy the wide variety of bird songs as the breeding season starts. End of May and June are perfect for those looking for the wild flowers blooming. 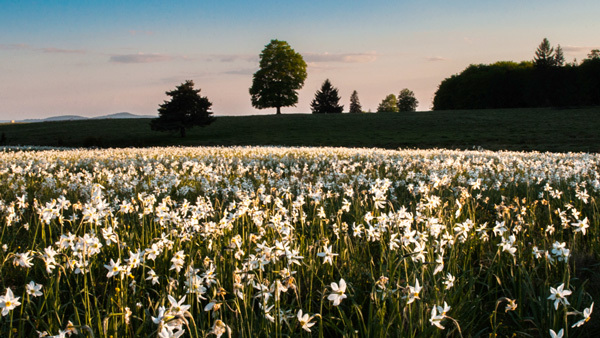 The beautiful Narcissus fields at the end of May are one of the many attractions of the regions. July and August might be the best time for those restricted by the school holidays, but if you can travel between mid September and mid October, then you can experience the raw power of the deer rut, forests dotted with wild edible mushrooms and breathtaking fall foliage. November and December has lower temperatures, but the weather is stable with rare rain or snowfalls. End of December or beginning of January is the time when snow showers and below zero temperatures arrive in the Harghita Mountains and last until end of February. 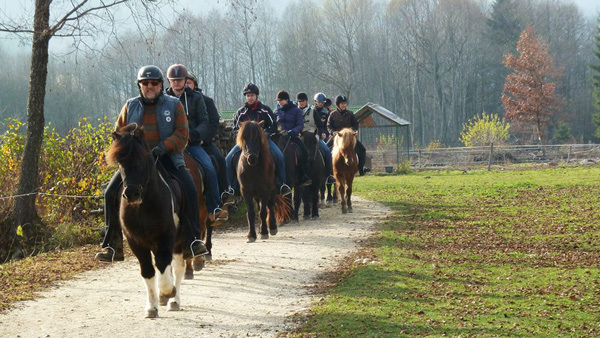 During this period you can experience riding through cold, fresh air underneath snowy pine trees and crisp blue skies. If you bring adequate warm clothing, this tour can be an exhilirating experience and the best way to explore the winter wilderness of the Harghita Mountains. The guide's knowledge of the region and weather allows him to adapt the daily routes depending on local conditions. The following is an illustration of the likely itinerary but local conditions may dictate that the order of the itinerary needs to be changed, always with your best interests in mind. Sunday - Arrive at your accommodation during the afternoon. Until all the other participants arrive, you can take a 15-minute walk to the horses or take a shower and relax in your room. Once everyone has arrived, you will meet the other participants on the trip and enjoy your welcome dinner. 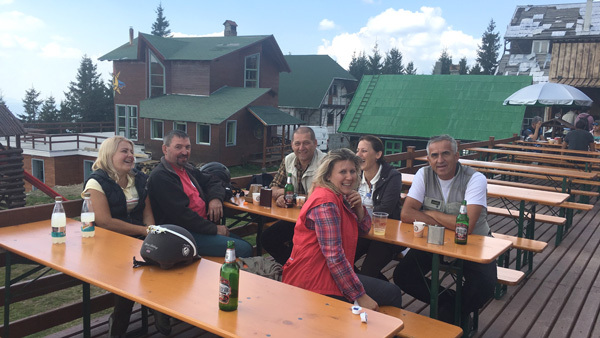 Whilst enjoying the locally cooked meals, you can meet your riding guide and the lodge manager. After dinner you will hear the details of your adventure and you have the opportunity to discuss these and relax with the other participants. 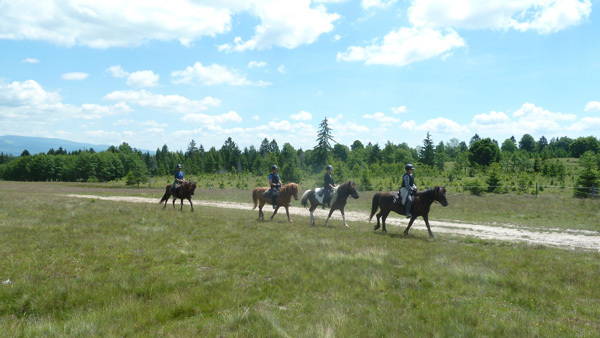 Tuesday - Today you will ride on the Western side of the Harghita Mountains volcanic plateau, through spruce forests and extended pastures, crossing by grazing flocks of sheep and herds of cow during the summertime. You will have plenty of opportunity to freely gallop and tölt on this part of the trail. At a scenic vista of the plateau we will enjoy our picnic lunch and learn the stories of the villages unfolding down in the valley. 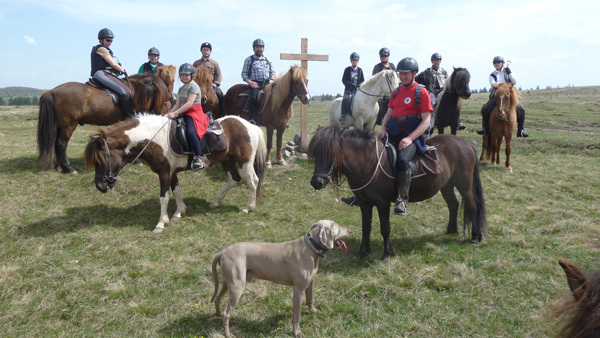 After lunch break we descend on a narrow and densely forrested path to the valley of the Tarnava Mica Valley and along the prolonged, small village of Subcetate we ride back to the ranch. 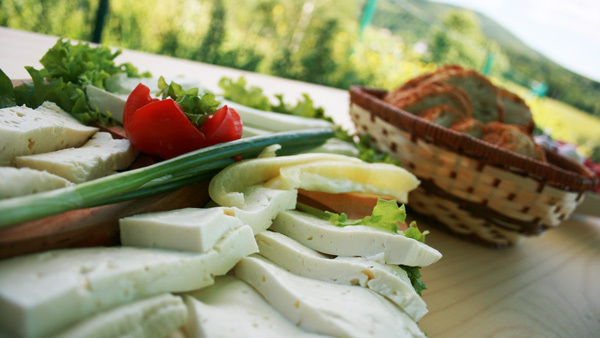 Three-course dinner and overnight in your accommodation. 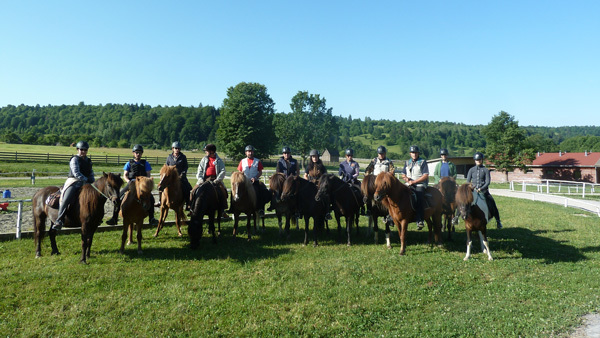 Distance: 37 km, 6 hours of horse ridingl. Thursday- Following the thrilling, long ride of the previous day, today we will ride north from the ranch first through a beech, then through a dense pine forest as we gradually climb on the Izvoare stream’s valley. 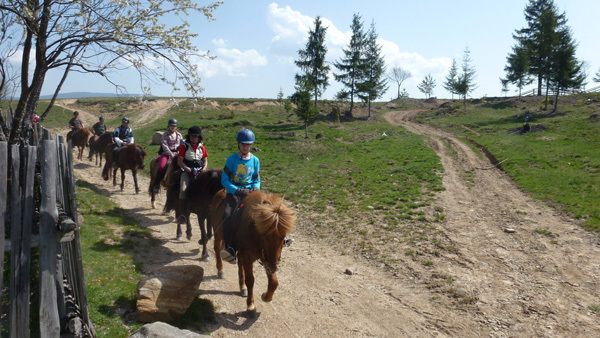 On this part of the trail we can practice and enjoy the comfortable tölt gait of our horse. 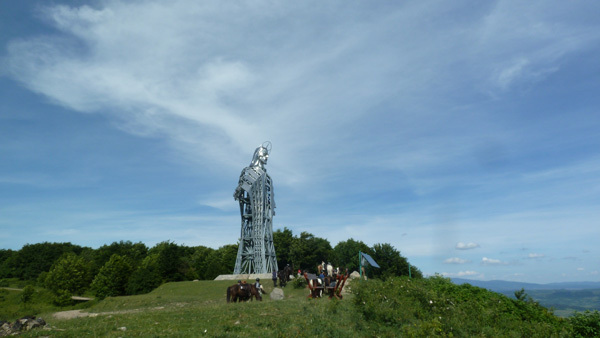 As we reach the clearing called Szelesberce we will enjoy a short break then continue our ride as we descend to the field of Sicasau. Here we water the horses in the Sicasau stream, then have picnic lunch break on a nearby hilltop and ride back to the ranch through the wildlife park. 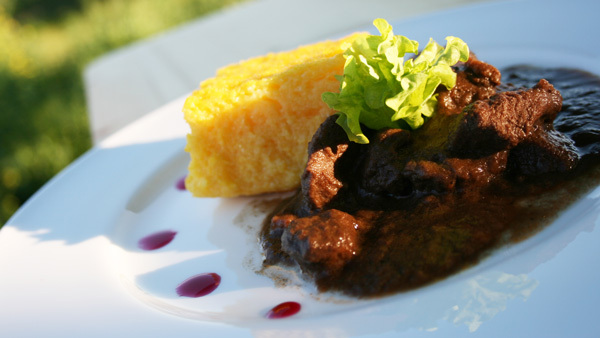 Three-course dinner and overnight in your accommodation. Optionally you can join a bear watching tour from a hide at dusk. Saturday - It's time to say goodbye to your fellow participants and your hosts, before you depart from Izvoare. Please note: The above itinerary is given for your guidance only and it may be altered on the ground and in accordance with the prevailing conditions by the organising team. Guided hiking, biking, fishing, snowshoeing, skiing and other outdoor or sightseeing tours pricing is available on request and depends on the number of participants and the specifics of their interest or physical fitness. In this destination it is easy to find pictoresque spots to take photos of. Also, icelandic horses with their thick mane and vivid figure are wonderful horses to film. However, it is not always easy to capture all the beauty by a camera. In this trip you will join Heli Hirvelä who is a professional photographer and a teacher of icelandic horse riding. She will teach you photographing and how capture in photos all your wonderful holiday moments and memories. And of course you will also ride alot. 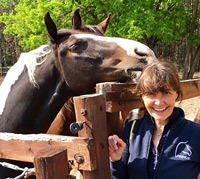 The group leader is Riitta Kosonen who is an active hobby rider in various riding disciplines. Bukarest Otopeni airport, meeting at 4.30 PM. Book a flight that arrive before 4.00PM and depart after 1.00PM. 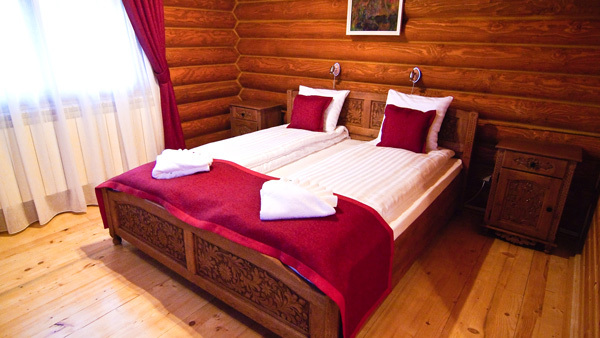 Single room: It is possible to book single room (price for single supplement is available under Dates & Prices). If there is no one to share a room with, a single supplement will be added. Age limit: 14 years old if accompanied by parent/adult. Currency: Lei (RON). Euro is accepted at many places frequented by tourists. The Riding Centre accept euros. Credit card: The Riding Centre accept credit cards. Riding equipment to borrow: Helmet at request. Helmet is mandatory. VIP-customers - 10% Discount on the following price.